Being an individual? It's incredibly important to me. So when I came across Smashbox O-GLOSS Intuitive Lip Gloss, a clear gloss which promises to transform your pout into its very own shade of pink, I simply had to try it. So I slicked on the gloss and watched to see what would happen. Within seconds, my lips had deepened to a gorgeous mauve-rose hue ... definitely different than any other lipgloss I have in my arsenal! This is due to the gloss's innovative formula -- a combination of Goji Berry-C Complex, ginkgo biloba, pomegranate seed antioxidants, marine botanicals and avocado oil. Not only will your lip color be all your own, but your lips will be so super soft and smooth! 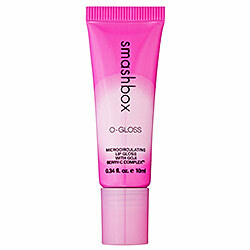 Smashbox O-GLOSS Intuitive Lip Gloss retails for $22 at sephora.com.